In the most highly anticipated December, non-official, non-PGA Tour, invitational 18 man field event of all time, Tiger Woods made his comeback to competitive golf, after multiple back surgeries, fusions, arrests, drug charges and goodness knows what else! It was his first start since withdrawing from an event in Dubai in February, and the golfing world was whisked into a frenzy. According to his social media feeds, Tiger had only been fit enough to clip wedges in October, half swings at the start of November, yet here he was, smashing full blooded drivers and hitting it past Justin Thomas in the opening round. For most, it was a magnificent return to the game for the man who has done so much for the sport in terms of appeal, ratings, media interest and most importantly, financial investment in the game. Rounds of 69, 68, 75 and 68 were a mixture of dodgy chipping, clutch putting, woeful 3 jabbing, monstrous driving and superlative long iron play. The famous Tiger club twirls and recoils were particularly encouraging, as it seemed Mr Woods was genuinely enjoying his time playing well with the young stars of the game, particularly as he was doing so pain-free after so much time sidelined with injury. The Tiger Woods comeback saga was of course the major, and only, talking point of this event for most. However attention must absolutely be drawn to the incredible final round of the tournament winner, Rickie Fowler. He birdied the first seven holes straight, went out in 28, and absolutely cruised home to shoot 61 without dropping a shot. The man 1 putted 9 out of the first 10 greens! Observant fans will notice a little trick that Rickie uses that could help everyone's putting - just before he takes the blade away he raises the putter from the ground a hair, and then pulls the trigger. It really frees up his motion, reduces tension in the hands, and ensures he doesn't jerk the putter back funky, as so many club golfers do in trying to lift the putter and take it back in one motion. Club golfers love trying out bizarre new methods to improve their game, but I propose this very simple method genuinely will help you relax over short putts and just let it roll! Now whilst Rickie won the tournament, the real winner of the week was Cobra Golf, his equipment manufacturers. Dedicated fans of this blog will remember the article about the brand new range of Cobra metalwoods, F8, featuring a milled face, carbon fibre crown and all-round badass looks. Well, Rickie debuted this new driver, as well as the fairway woods, for the first time in the bag this week. A marketing team's dream! Brand new equipment winning immediately is an incredible result for Cobra, and Rickie was driving the ball seriously well all week; you can't one putt birdie every hole if you haven't got short shots in from the fairways. 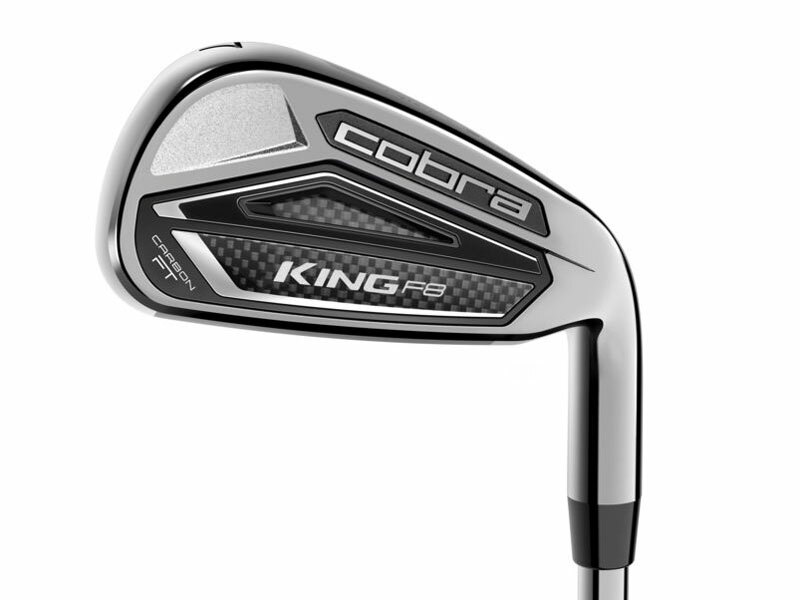 Cobra Golf have just today launched their brand new product line for 2018, the King F8 range, which takes over from the F7 range that launched this time last year. 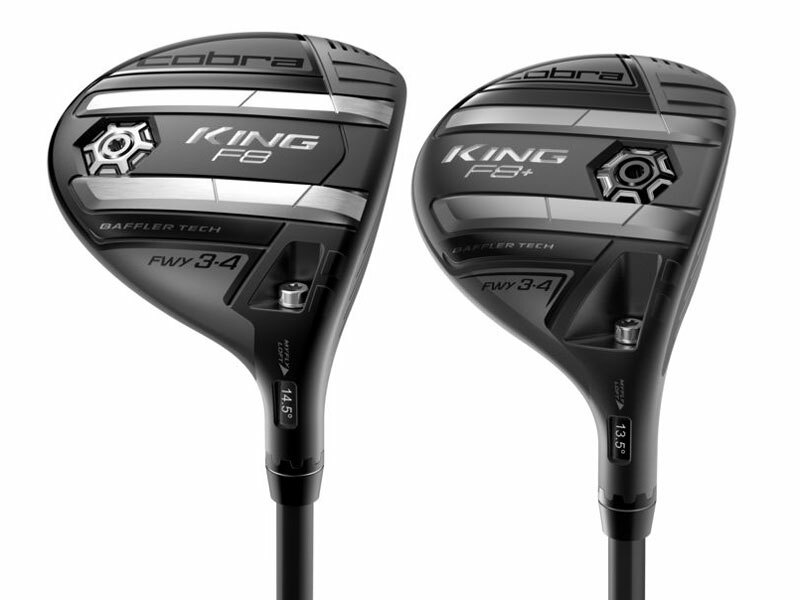 The King F8 ranges features two new drivers, the F8 and F8+, along with fairway woods, hybrids and both traditional and one length irons. 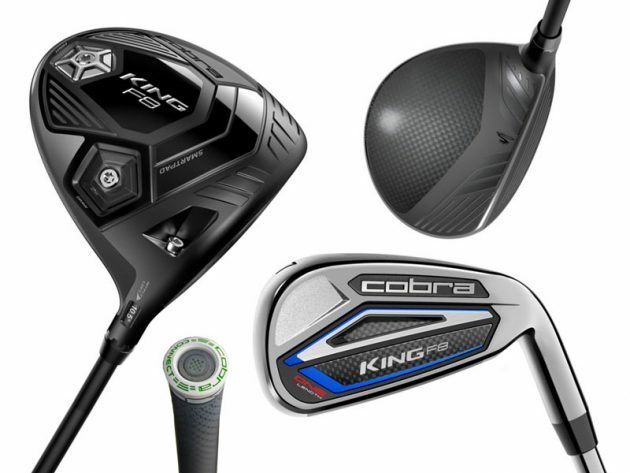 Throughout the range, it appears Cobra are really pushing the boat out in terms of new technologies and innovation. They are perhaps to be seen as the first rendition of "smart" golf clubs... More on that later. Starting with the driver, the F8 is the first driver released with a MILLED FACE. Usually only seen on wedges, irons and putters, Cobra claim their CNC Milled driver face allows them to produce a much more consistent face, finely tuned for optimised distance on both centre and off-centre strikes. Precisely milling the face also allows the face itself to be thinner, creating an exaggerated trampoline effect, as other drivers from TaylorMade and Callaway also offer. 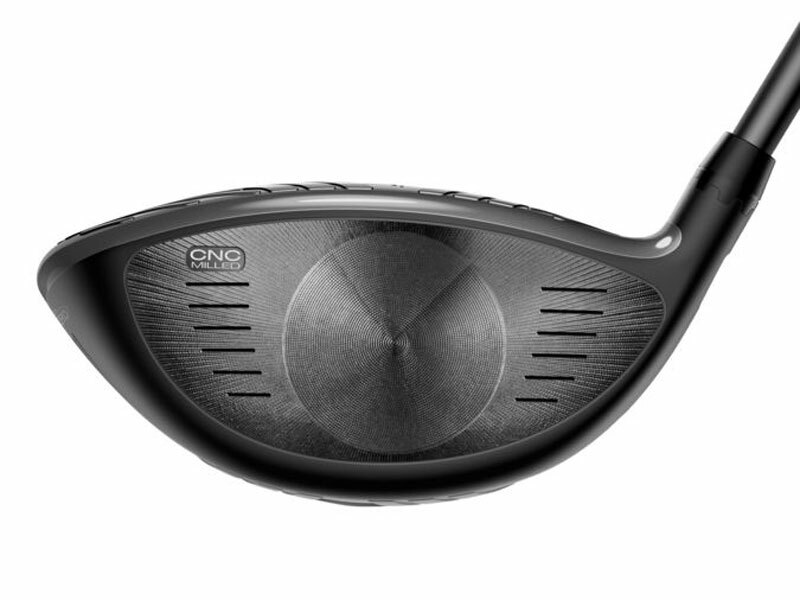 They are stating this ground-breaking driver technology has "improved bulge-and-roll" to make the face 3% thinner and 10% lighter, again for higher ball speeds and accuracy. 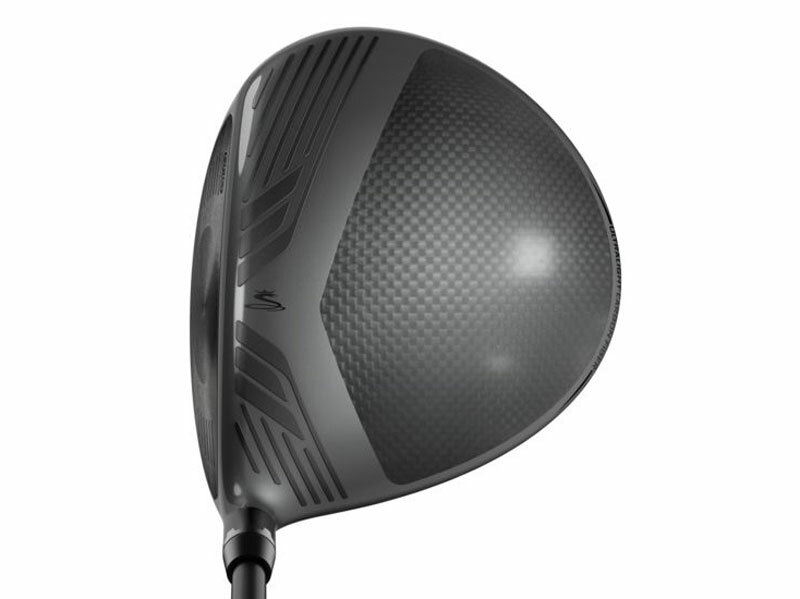 Not only is the face improved, Cobra are introducing "360º Aero Technology". Basically, this means strategically placed polymer strips all around the driver to improve air flow and aerodynamics, allowing the driver head to swing faster with reduced drag. This is less groundbreaking for us - Callaway did a very similar thing working with Boeing on their airflow first seen on the XR16 Driver. In terms of adjustability, we have the same MyFly loft sleeve, and weight ports similar to the F7, allowing to add either draw bias or extra launch. Looks wise, the titanium and carbon fibre composite crown bares strong resemblance to M1 and M2, however the Nardo Grey rather than white with the black crown certainly offers a stealth bomber type aesthetic. We are glad to see they have finally ditched the orange from this product line! The F8+ driver has a slightly smaller head size and shallower profile, aimed at the better player with faster swing speeds, looking for a more optimised ball flight rather than just a high and please don't slice type flight. Its weight ports are also in front and back rather than heel and back, allowing the better player to choose a lower launching option. This + model is what we can expect to see the Cobra Tour players such as Rickie Fowler using from now on. In terms of fairways and hybrids, Cobra are sticking with the 360º Aerodynamics improvements, and have also decided to keep their very popular "baffler" style railings on the bottom of the clubs, which really do help turf interaction and vary in depth from club to club, optimising your contact. The + model fairway also has the weight moved forward rather than at the back, which again gives the better players that more penetrating flight. The new irons released alongside the metalwoods range are a mid-range, game improvement set, also stuffed with new tech features. 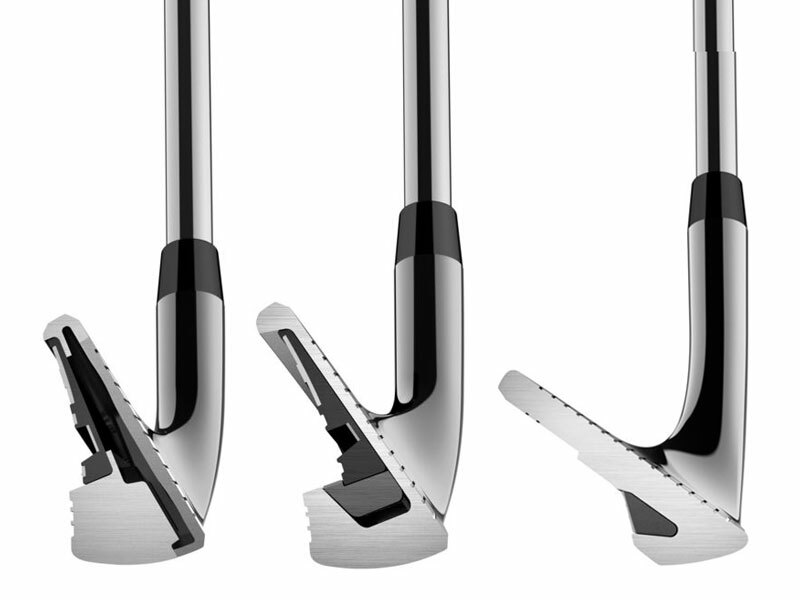 F8 Irons have the all-new "E9 PwrShell Face", a 20% thinner than previous models and forged face. This should offer playability and high quality feel, coupled with the forgiveness and distance of chunkier, game improvement irons. Cobra have followed the route of TaylorMade and PXG with this club: TECFLO Progressive Set Construction means the 4-7 irons are hollow bodied, (although sadly not foam injected), then the shorter, scoring clubs are cavity backs, with 2 speciality bladed wedges also available. 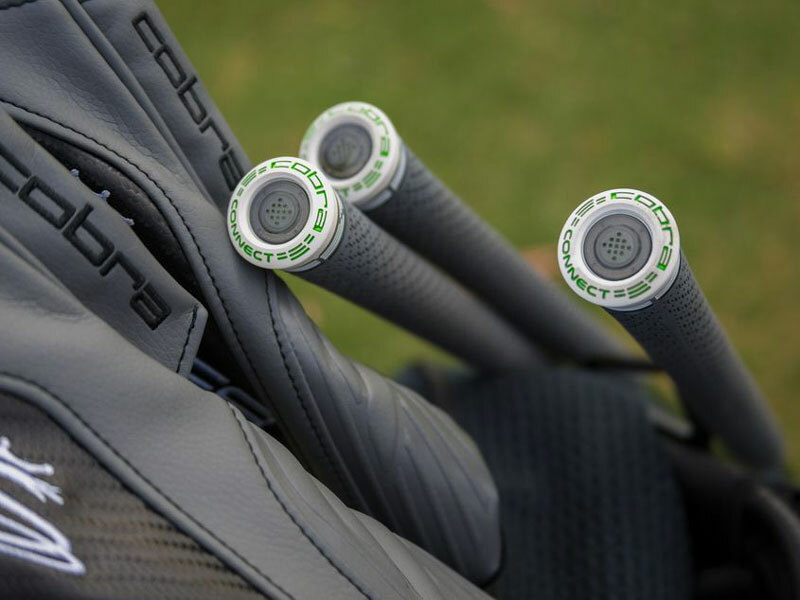 When you purchase the set of irons, Cobra are kind enough to send you spare Arcoss units to go in the rest of your clubs, regardless of whether they are Cobra F8 or not, allowing a "fully connected experience". Time will tell whether this technology will catch on and become industry standard, but Cobra have definitely made a bold step towards the technological future of modern golf. Local hero and friend of the shop Tyrrell Hatton continued his scintillating form this week on tour as he claimed a 1 stroke victory in the Italian Open, fending off perennial runner up Ross Fisher, at the Parco Reale di Monza. You have to think the main man Sergio is a hot favourite for this event, in his homeland and playing one of his favourite courses. However the pressures of hosting these types of events can take their toll, with added media responsibilities and having to look like you're enjoying yourself all the time, regardless of how many short putts you miss. Over in the States (strictly speaking Kuala Lumpur this week but who's checking) on the PGA Tour, PXG staffer Pat Perez won the CIMB Classic. It was the American's 3rd win on Tour, beating forgotten man of previous Ryder Cups Keegan Bradley by 4 shots. Whilst it won't go down in history as the greatest field ever assembled, Perez still earned status as a hero of the YPG staff, as after his final round he declared to the press: "I'm still not going to work out. I'm still going to have a bad diet." Very refreshing stuff, in this age of nonsense fitness and protein shakes. Some final exciting news: Tiger Woods has been cleared by his doctors to resume all golf activities! He shared video of himself in Sunday Red swinging the driver, whipping social media and die-hard Tiger fans into a frenzy. Whilst he's still a long way from match fit, it surely can't be a bad thing to have Mr Woods back healthy and playing.